In this house, books rule. The kids know that I can't say no when they ask for books. We have shelves full of books that we have to weed through often to make room for new books. Lately we have been reading big books in the car. We have read Wonder, Rain of Gold and Coco and now we are reading A Wrinkle in Time. We ripped open the package to find two new gems. 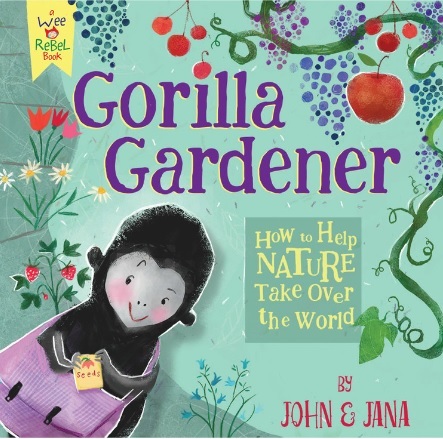 When a sweet little gorilla wonders what the world would be like if seeds were planted all over the world. This cute little guy takes seeds and plants them in school grounds, telephone polls, business offices and in a short time the world starts to look a whole lot different. A great book and reminder that nature is beautiful and it only takes a little work for us to bring more nature into our concrete jungle world. Now most parents tend to want kids who are obedient. But sometimes kids need to be a little resistant. This book plants the seed in kids heads, that even though they may be little, they still have a voice to stand up for what is right and fair. In this day and age kids cannot always count on the people in charge to be kind and do the right thing so kids can have a say in making things better for everyone around them. 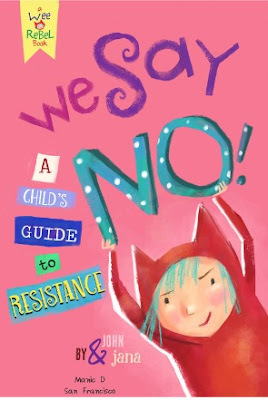 This book is filled with sweet illustrations and a powerful message that even little ones can start a revolution. John and Jana, thanks for thinking of me and sending these 2 books my way. Now that my Louie is reading she can't wait to read these to her little cousin!